Length of Advocacy: 3 years; inducted in 2014. "Born and raised in upstate New York, I also spent a significant part of my adult life there. While working as a Program Manager for IBM in Owego, NY, I raised a family (two children). I moved from East Syracuse, NY to my current Forest residence. Currently retired, I am enjoying the beautiful southwest Virginia area with my wife and two Standard Poodles. I heard about CASA and their need in the News and Advance." "I try to utilize the numerous educational opportunities and frequent the historical sites available in Lynchburg and the surrounding areas. The local community college and the local universities have been an excellent source for educational activities. Auditing courses has allowed me to expand my interests.. As a result of some of the courses (US Government) taken, I find that I have become a political enthusiast. Southwest Virginia has a multitude of historical places to visit. There are plenty of activities in Lynchburgand the surrounding areas to keep one busy." "I want to assist those who may not have the necessary support systems. My life experiences, I believe, are conducive to helping those individuals needing extra assistance at a vulnerable time in their young lives. I am fully committed to assist the children, and often times, the adults that are experiencing significant life challenges. From the positive feedback received from individuals associated with my cases, I believe CASA has an immediate and important impact on a child's life who has been placed into the judicial system. The local juvenile court system can be an intimidating place to negotiate even as an adult. All participants in the court system are extremely busy with the large and seemingly endless case load. CASA is a viable and valuable additional resource supporting a person (young or old) through the juvenile court system, social services, and other essential support services. The CASA volunteer can and does make a significant positive difference in every aspect of a child’s life while in the juvenile court system." 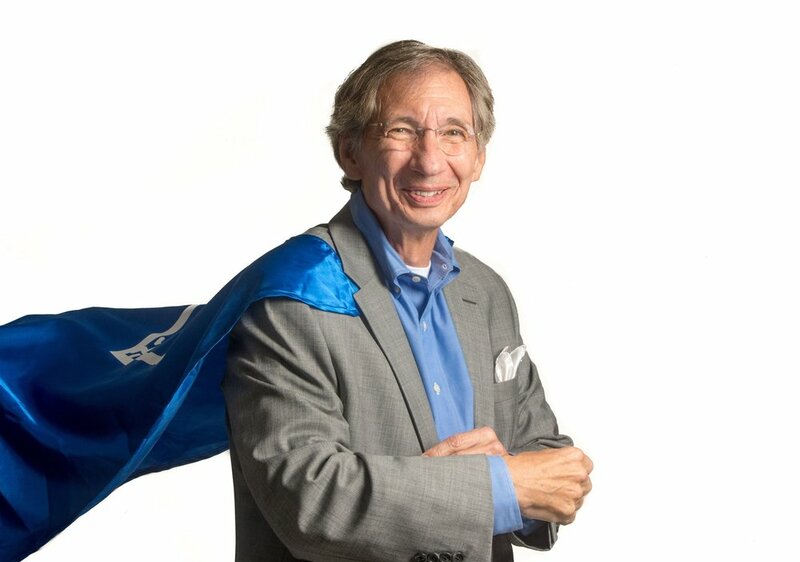 When Hal was inducted into the Dale Harris Hall of Fame in 2017, his advocate manager, Allan Jamison, had this to say about him: "Over the past 3 years Hal has demonstrated exceptional advocacy work. Hal has advocated for several services both in schools and in the community on all his cases that have been incorporated in all his cases. Those services have proven to be important in the judge’s decisions for children to be approved for adoption. 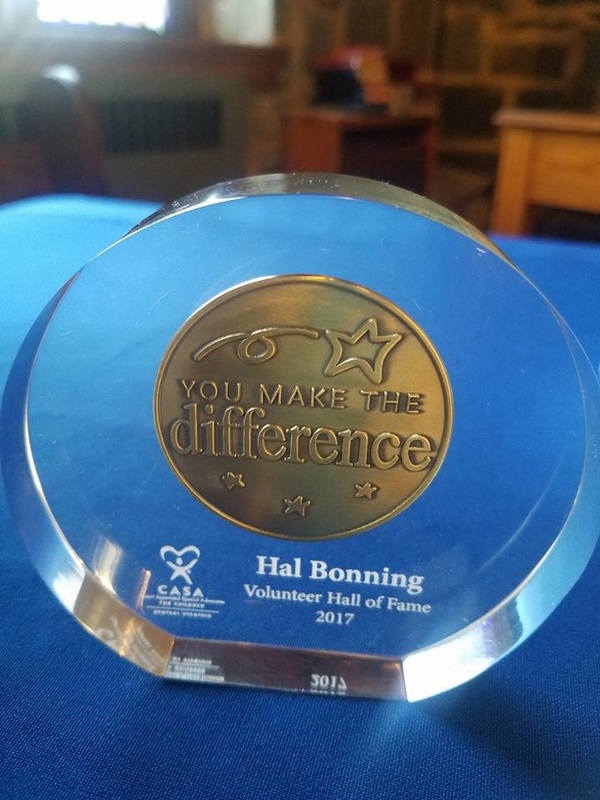 Hal’s advocacy was so influential that a foster parent called well after the case was open to report how well Hal did and wanted to know if he could be appointed to a child that was just placed in the home."